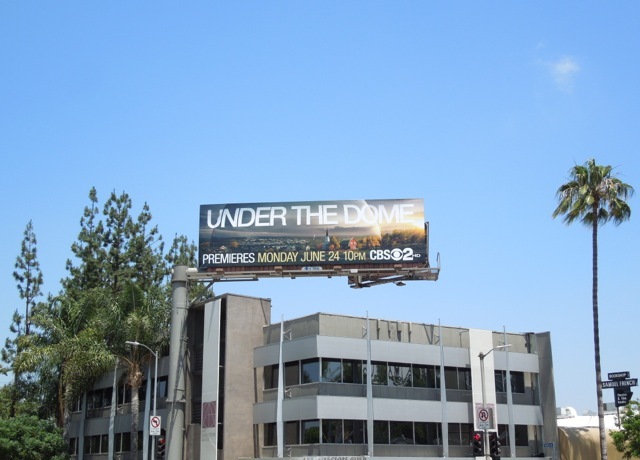 Surely Stephen King must hold the record for the most movie and television adaptations of his best-selling horror, sci-fi and fantasy novels, and this Summer Under the Dome becomes the latest addition to this long list of work. 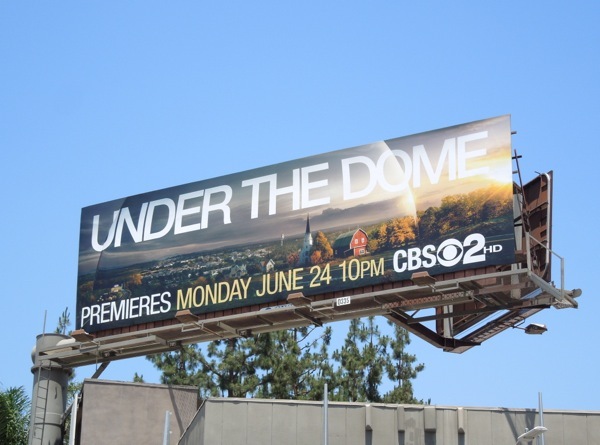 In this new tale a small town in America is suddenly mysteriously sealed off from the outside world by a massive transparent dome. The barrier's appearance causes all kinds of damage, injuries and fatalities, but as resources run low, society soon starts to unravel. 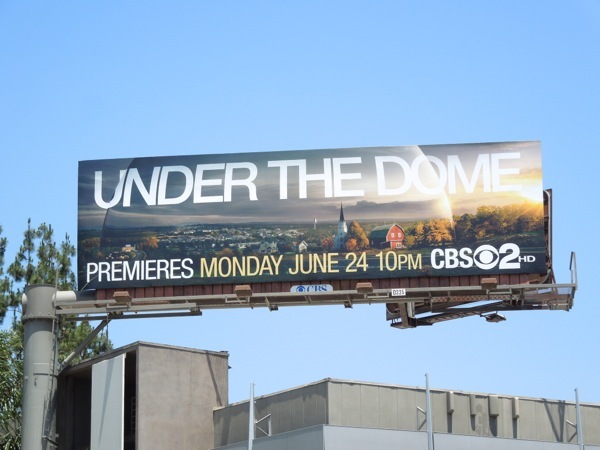 This billboard, which quite frankly is crying out for a special extension to highlight that dome, spotted along Ventura Boulevard in Studio City on June 3, 2013. 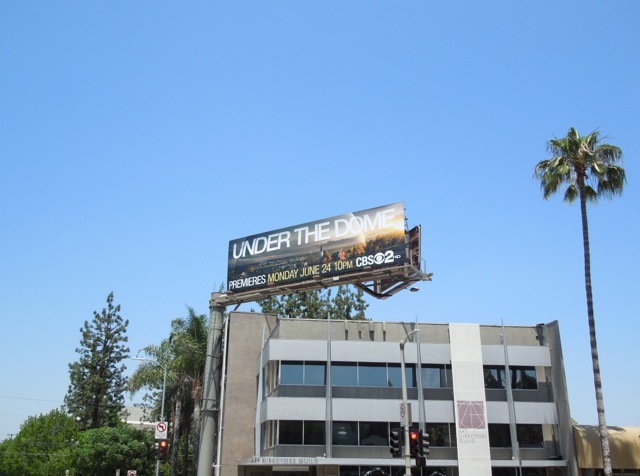 If you like this ad, be sure to check out another of Stephen King's TV adaptations in these Bag of Bones billboards.